Seventeen-year-old Isaiah Martin knows what they say about good intentions, and he finds out it’s all true. After all, he had the best of intentions when he stepped in to stop a friend from making a terrible mistake, but when he’s caught with his friend’s gun, no one believes him. As punishment, Isaiah is forced to pack his bags and join his missionary father in politically unstable Cameroon, Africa. Isaiah’s father also has good intentions, and he devotes all his time to them, so he sends Henry, a mysterious and attractive do-gooder, to act as Isaiah’s chaperone—and hopefully keep him out of trouble. But once again, the best-laid plans quickly go awry and Isaiah and Henry are abducted by enemy soldiers. If they want to live through their ordeal, they’ll have to work together and learn to trust each other until they’re rescued—or come up with a plan to save themselves and hope, for once, nothing goes wrong. J. LEIGH BAILEY is an office drone by day and romance author by night. She can usually be found with her nose in a book or pressed up against her computer monitor. A book-a-day reading habit sometimes gets in the way of… well, everything… but some habits aren’t worth breaking. She’s been reading romance novels since she was ten years old. The last twenty years or so have not changed her voracious appetite for stories of romance, relationships, and achieving that vitally important Happy Ever After. She’s a firm believer that everyone, no matter their gender, age, sexual orientation, or paranormal affiliation, deserves a happy ending. She wrote her first story at seven which was, unbeknownst to her at the time, a charming piece of fanfiction in which Superman battled (and defeated, of course) the nefarious X Luther. (She was quite put out to be told later that the character’s name was supposed to be Lex.) Her second masterpiece should have been a bestseller, but the action-packed tale of rescuing her little brother from an alligator attack in the marshes of Florida collected dust for years under the bed instead of gaining critical acclaim. Now she writes about boys traversing the crazy world of love, relationships, and acceptance. 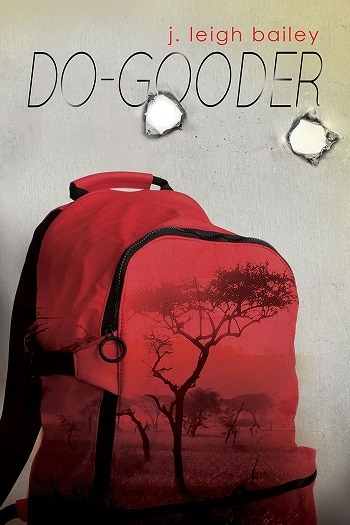 Reviewers on the Wicked Reads Review Team were provided a free copy of Do-Gooder by J. Leigh Bailey to read and review.